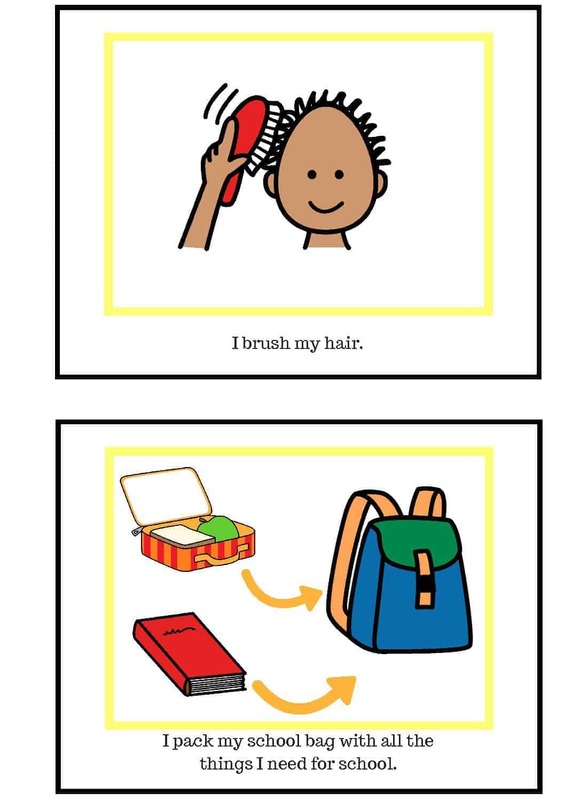 Children with autism can have difficulty with organisational skills. Getting ready for school in the morning can be very challenging. 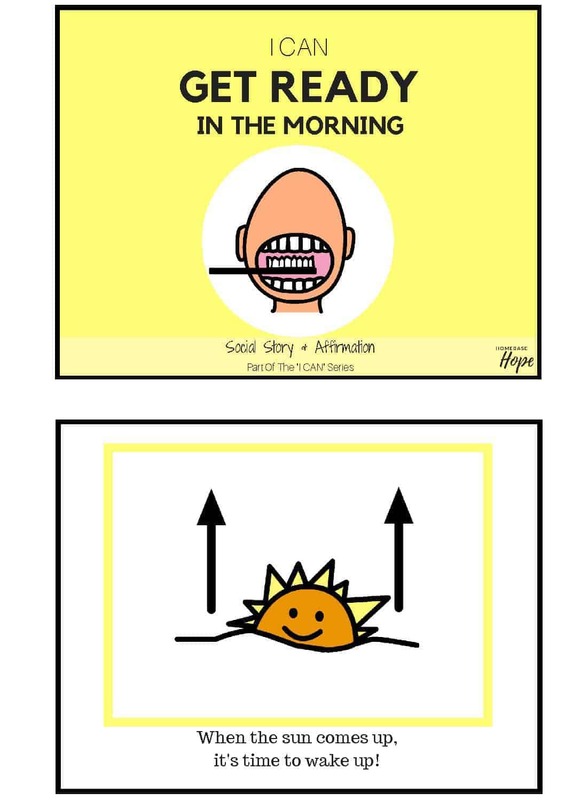 This social story empowers your child with strategies and socially appropriate responses to enable them to be more independent and confident in the morning before school. This is a printable social story. It is recommended that the social story is cut out and laminated for durable and long lasting use. 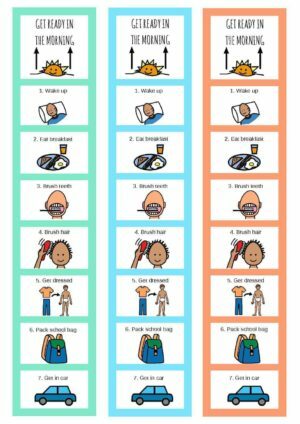 Getting ready for school in the morning can be very challenging for children with autism who have poor with organisational skills. 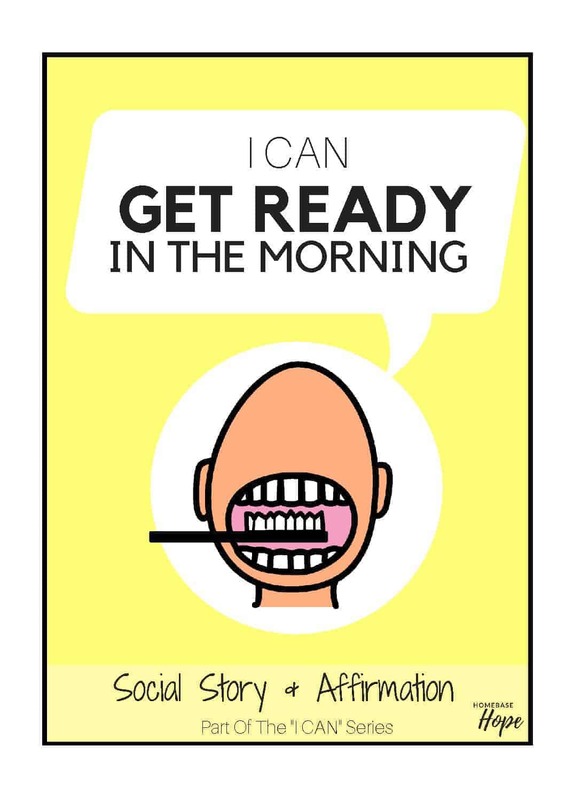 This social story empowers your child with strategies and socially appropriate responses to enable them to be more independent and confident in the morning before school. 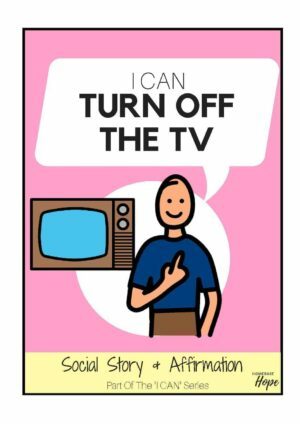 The reason I love the “I CAN Social Story & Affirmation” series so much is because they not only teach socially appropriate behaviours but they also include an “I can” affirmation – reaffirming to your child that they can do something! This is extremely powerful. When children possess self-belief, they can break the negative thought pattern and remarkable things can happen. These stories prepare your child for situations which they may they find difficult or confusing. 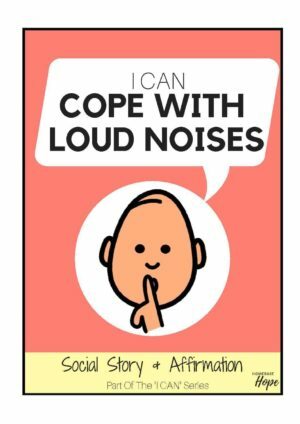 They help to reduce anxiety, stress and uncertainty by providing examples of socially appropriate responses to everyday situations. one of the most important life skills there is – social skills. 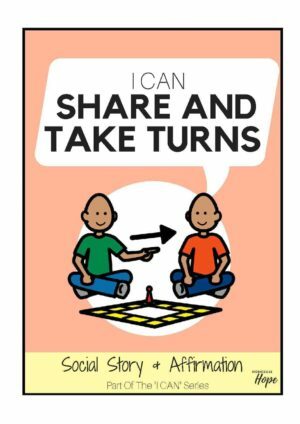 Some kids, particularly our children on the spectrum, require explicit instructions on how to behave, self-regulate and respond. And that’s why I have created this series for you!